In a story set years in the past, Himura Yuu is a studious and diligent young man intent solely on maintaining his top academic position at Otowa Academy. One day, he meets a mysterious girl named Amamiya Yuuko, who, to his surprise, recognizes him. Memories of a distant childhood, memories rather left forgotten... meeting Yuuko again will force Yuu to confront the regrets and sorrows of their collective pasts and presents. 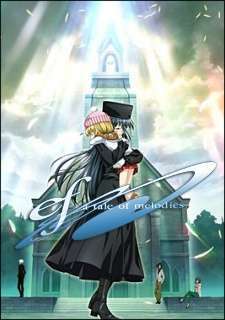 English: ef - a tale of melodies. Japanese: ef - a tale of melodies.